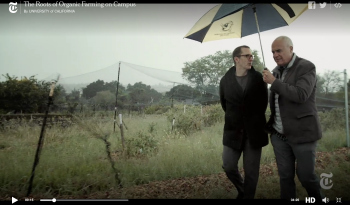 Discover more about the Enviornmental Studies department through these videos produced by students, faculty and broadcast media that feature research and work we do on campus and in the wider community. 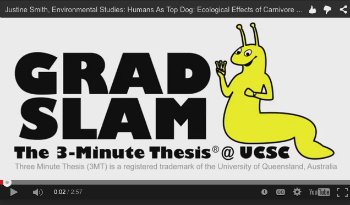 Watch the YouTube video of Justine Smith, Environmental Studies Graduate Student, and UCSC Grad Slam Winner 2015. She will go on the present at the UC system-wide finals in May in Oakland. Stephanie Haan-Amato, a UC Santa Cruz Environmental Studies alumnas, now works in environmental education. 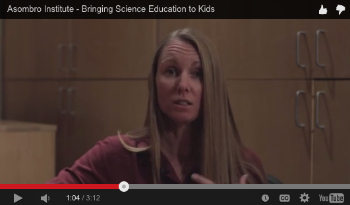 Here is a video about one of the studies she is leading to show students the impacts of climate change on vegetation. 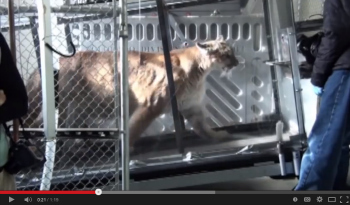 Study of mountain lion energetics shows the power of the pounce. High-tech collars enable scientists to record the energetics of mountain lion hunting behavior, showing why cats use "stalk and pounce" and how they overpower large prey. Environmental Studies professor, Chris Wilmers, is coauthor on this new study. 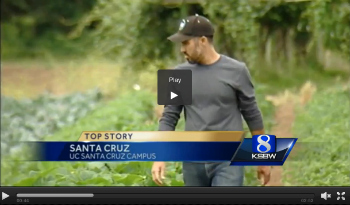 KSBW visited the Center for Agroecology and Sustainable Farm Systems (CASFS) in light of the UC Global Food Initiative, a new program that addresses the critical issue of supplying nutritious and sustainable food to people around the world. Environmental Studies student Evan Schell's senior project examines the feasibility of implementing waste to energy systems in Santa Cruz. 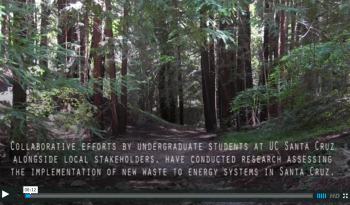 UC Santa Cruz students in the IDEASS program alongside local stakeholders discuss the potential for creating a sustainable energy recovery system linked to the city's waste stream. 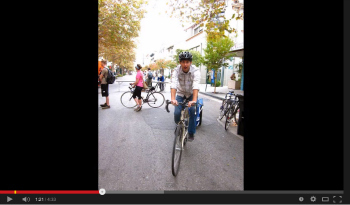 Watch "Ecology Action's Bike Movement"
For more than 27 years Ecology Action has been at the forefront of promoting sustainable transportation. They have implemented their Bike to Work and Bike to School programs all throughout Santa Cruz county.